Dr. Bidani’s Centre for Homoeopathy is comprised of a panel of highly skilled professionals for cracking difficult cases. This panel when presented with intractable cases goes down deep into the case to find out the root cause of the problem & decide highly innovative, customized treatment protocol according to the need of suffering individuals. Which most of the times involves one to one interaction with the patient through personal visit, phone, email or live chatting. The panel comprises of specialized doctors in different fields (expert in different diseases) who have mastered in their respective fields. With their specialized knowledge they have immense potential to cure incurable diseases. A Senior Homoeopathic consultant with over 50 years of standing experience in Homoeopathic practice with expertise in curing difficult cases is helping people restore their health using homoeopathy. It is his goal to uncover the root cause of each patient’s unique illness and he is committed to supporting rather than suppressing the body’s innate ability to heal. He is having specialization in treating Diabetes, Cardiovascular disorders, Cancer or tumor, Rheumatism or arthritis, Renal Calculi, Alopecia (Hair-falling) etc. He did his Bachelors of Homoeopathic Medicine and Surgery (BHMS) from DS Homoeopathic Medical College, Pune. Having keen interest in Psychology he completed his master’s degree (M.Sc) in Psychology from CMJ university, Meghalaya with flying grades. 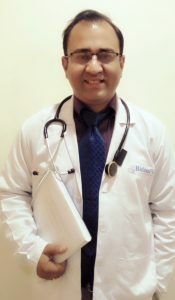 Pursuing his passion for learning he did his post-graduation in Homoeopathic Paediatrics, MD (Hom.) from Sri Sainath Post-graduate Institute of Homoeopathy, Allahabad. 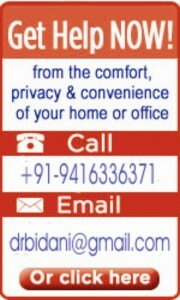 He is highly skilled in treating the so called chronic-incurable diseases. A respected teacher who is specialized in Homoeopathic repertorisation and case taking. His special area of interest is in treating paediatric and psychiatric disorders like depression, anxiety neurosis etc. He has appreciable number of cured cases to his credit. 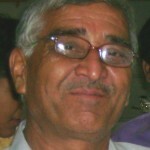 He is a vice-president of Indian Institute of Homoeopathic Physicians (IIHP), Haryana State, former National Secretory of Indian Homoeopathic Medical Association (IHMA) and former joint secretory of South Delhi Homoeopathic Association, an internationally renowned homoeopathic association and was an editor-in-chief of association’s bimonthly homoeopathic journal: SDHA Chronicle. He is an international speaker, mentor and teacher and has given lectures in number of National as well as International seminars and conferences. He is a well established author and has written more than 100 articles for various National as well as International journals and health magazines. Dr. Neha Bidani did her Bachelors of Homoeopathic Medicine & Surgery (BHMS) from Nehru Homoeopathic Medical College, New Delhi. She also has a special training in Gynaecology under National Rural Health Mission, government of India and has made the treatment of gynaecological cases an area of special interest. She has expertise in treating women’s health issues, pregnancy, childbirth and chronic diseases in females that don’t respond to traditional system of medicine too well. Her successful Homoeopathic treatment of Gynecological cases has avoided many tedious surgeries. Currently she is working as a Homoeopathic Medical Officer under NRHM, AYUSH Dept. at Hisar, Haryana. She has delivered number of lectures in various seminars and she is instrumental in designing the course materials to the nursing college. 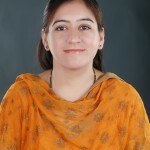 It is Dr. Neha’s special approach to homeopathy that sets her apart from other senior homeopaths and has won applause from her contemporaries. She also specializes in treating weight loss, anti-aging, and skin problems like acne (pimples), black heads, psoriasis, eczema, etc. Her nutritional focus is helping individuals improve their overall health, fitness and fat loss. She has created many of the highly innovative and customized nutrition plans. She has a special interest and experience in guiding overweight patients through a healthy weight reduction program focusing on optimal nutrition and exercise. 2 Comments to "Panel of Doctors"
i have tried the medication you gave me for allergy spot on my leg.it has worked very well.spot is almost gone and now i do not get swollen eyes from muskara application as well as no sore ears after wearing metal earrings.thank you so much. you might remember that i spoke to you about my daughter Rea who is 9 years old and is suffering from severe eczema since she was 3 weeks old.i have tried everything even homeo from locals,nothing is helping her.i can organise some photos for you to look at. please advise how you can help,she is in nz ,hamilton at the moment.